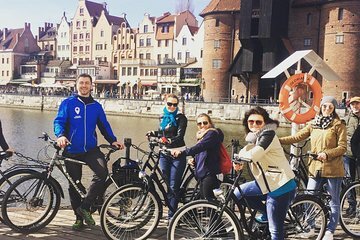 Have fun cycling through one of the most bike-friendly cities in Poland while sightseeing and learning about Gdansk. Visit the Old Town, Low Town, shipyard and other areas of the city. You’ll get a much more intimate perspective than touring by car or bus, but can cover more ground than you would on a walking tour. This tour is an exciting way to see the sights while exercising. This tour was a wonderful and relaxing trip around Gdansk. It's an easy route. Woljek ? is very proud of Gdansk and offers interesting commentary. The tour includes Old Town, a quick trip to the country, and the legendary shipyard. The shop had good bikes and they provide great customer service. Our party was all 60 years and we had no problem executing the route.